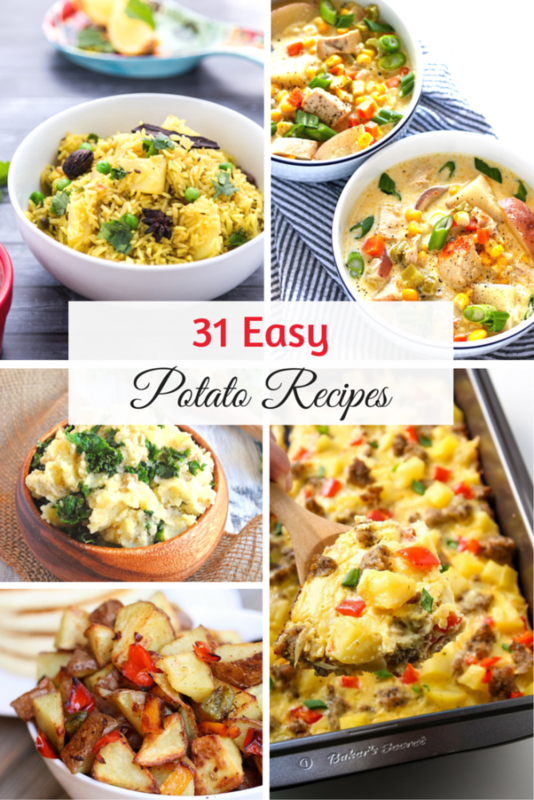 I’ve gathered 31 Easy Potato Recipes that you can add for any meal of the day. From Breakfast Potatoes and Funeral Potatoes with Ham to Double Stuffed Taco Potatoes and even Vegan Deviled Potatoes, I promise you’ll find the perfect dish among these recipes. Don’t forget to save these recipes for later. Pin the image bellow and check it out anytime you want to cook something delicious for a holiday dinner (or anytime)! Roasted Potato Salad with Pancetta, Sun-Dried Tomatoes and Arugula from Domesticate ME! What Is Your Favorite Potatoe Recipe? Previous Post: « Trust Fund is nail polish without the chemicals! I love potatoes in foil. So simple and so yummy! i love potatoes and ready to eat it in any form.